Our Video Visitation System follows our commitment to provide the highest quality products to the Owner while always utilizing “off-the-shelf” and nationally available software and components. The design is extremely user friendly and offers functionality that reduces staff requirements. The officers spend less time, remain safe and secure while reducing the problem of contraband entering the facility. Remember – Less staff, recordable, the reducing of contraband and completely expandable as your need grows. We also provide a Visitation Phone System. 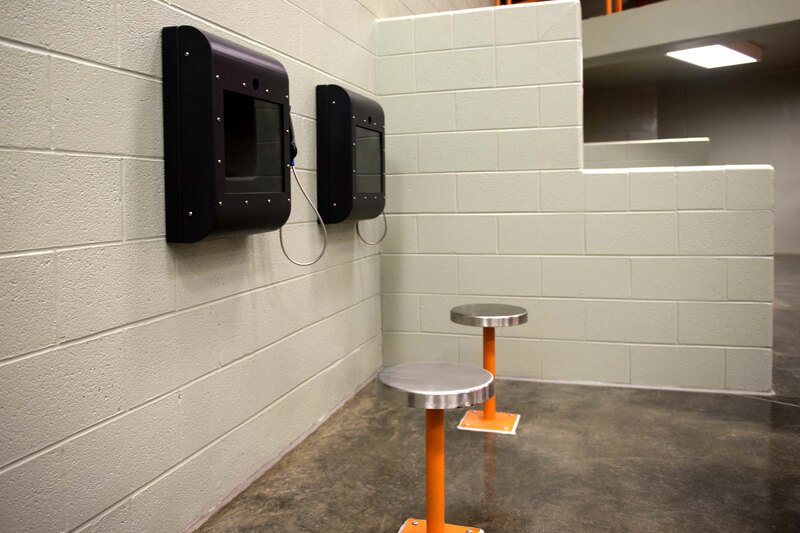 The phone connection can directly connect an inmate to a visitor.